MY TWO CENTS: Powerful and timely, Diary of a Reluctant Dreamer: Undocumented Vignettes from a Pre-American Life is the stunning, hand-illustrated chronicle of Alberto Ledesma’s twelve years in undocumented limbo and the psychological toll those years exacted. Drawing—or doodling, as he often calls it— became of one Ledesma’s most reliable coping mechanisms for the stresses of living in the U.S. without documentation. He began the doodling practice as a quiet act of defiance, since even privately acknowledging one‘s lack of papers broke a cultural taboo held by many insiders in Ledesma’s undocumented community. This taboo reached inside the very walls of his family home, where the fear of detection and deportation hung like a black cloud over their daily existence. Ledesma ultimately transitioned into academic life, earning a Ph.D. and landing a teaching and administrative position at the University of California at Berkley. He connects his academic drive to the phenomena of “hyper-documentation.” Originated by Dr. Aurora Chang, this term “describes the effort by Dreamers to accrue awards, accolades, and eventually academic degrees to compensate for having been undocumented.” The burdensome effect of this impulse comes through in one of Ledesma’s most potent drawings, which shows a brown-skinned person dressed in cap and gown, pulling a file cabinet tethered by rope and bursting with award certificates. Crossing the southern border without papers is an act fraught with peril, but as Diary of a Reluctant Dreamer makes clear, it’s only the start of a long, precarious journey that plays out in the daily existence of millions of undocumented Americans. At this writing, the future of many DACA recipients and other undocumented youth remains in limbo. Their fate is in the hands of elected officials all too willing to play political football with human lives. Alberto Ledesma’s account offers a strong and essential counterpoint to the xenophobia infecting public discourse about U.S. immigration. It brings penetrating light into the liminal spaces occupied not only by Dreamers, but all undocumented immigrants, and makes a convincing case that their stories deserve a chapter in our national narrative. Last month, while Alberto Ledesma was at The Ohio State University for a panel on comics and immigration, he stopped for this photo opportunity with Liam Miguel and Ethan Andrés Pérez, sons of our fellow Latinxs in Kid Lit blogger, Ashley Hope Pérez. Liam Miguel read Diary of a Reluctant Dreamer from cover to cover (even the parts in cursive, which were tricky for him at first), and he was thrilled to get his copy signed. For him, hearing Alberto’s stories was a way to better understand his father’s path to legal status as well as the realities for many young people who were not so fortunate to come at a time when that path was opened. ABOUT THE AUTHOR-ILLUSTRATOR: Alberto Ledesma, a Mexican-American scholar of literature, holds a doctorate from the University of California, Berkeley. His publications include poetry, academic articles, and short stories, which have appeared in Con/Safos: A Chicana/o Literary Magazine, and in Gary Soto’s Chicano Chapbook Series (#17). He has also published essays in ColorLines and New America Media. 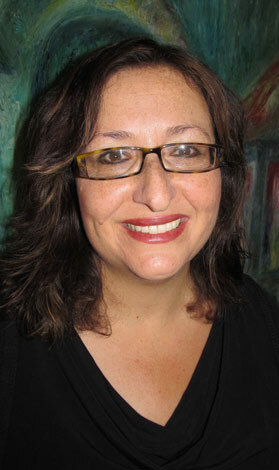 Ledesma, who participated in Sandra Cisneros’s Macondo Workshop and in the VONA Writers Workshop, serves as Graduate Diversity Director for the Outreach and Diversity Office of the Arts & Humanities Division in the College of Letters & Science at the University of California, Berkeley. Melissa, an 8th grader who plans to go to MIT and become a college math professor. Escalon is a Spanish word that means “step” or “stepping stone.” It is also a small town in the heart of California’s agricultural Central Valley, surrounded by dairies and almond orchards. Just off Main Street there, across from American Legion Post 263, is the library where Melissa, an eighth grader, volunteers to read to younger children, sometimes in English and sometimes in Spanish. 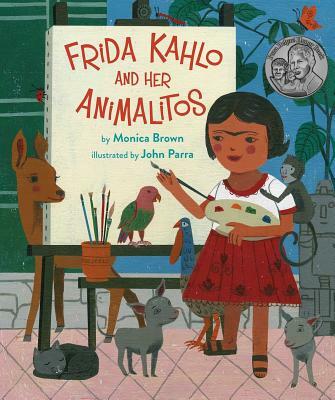 Just like Melissa, many of the children who visit the Escalon Library are the sons and daughters of Mexican immigrants, families who saw, in the United States, a step toward opportunity and who courageously took it. 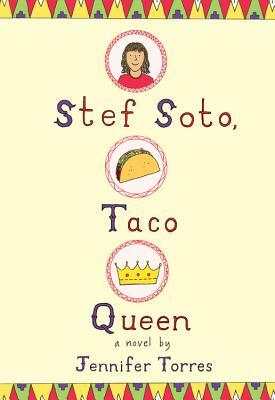 Those stories are American stories, and I hope that readers will recognize them in Stef Soto, Taco Queen. The fictional Stef Soto, like millions of very real children in the United States who have immigrant parents, is a first-generation American. Just like Melissa, Stef sometimes translates for her mom and dad. Just like Stef, Melissa has parents whose hearts thunder with hope and ambition for their daughter. She and her husband have encouraged Melissa to begin investigating colleges, to think about what she wants to study, who she wants to be. What she wants to do is teach math. When I asked her what grade, she hesitated, sheepish about correcting me. Just like I did—in a family that includes first-, second-, third- and fourth-generation Americans, as well as some who still live in Mexico—Stef is growing up speaking and listening to a vibrant mix of English and Spanish. We both find comfort in friends and family and warm tortillas, smeared with butter. And just like all of us, I think, she is trying hard to figure out exactly where she belongs. Too often, for too many, it can feel like a here or there question. But as I have learned, as students like Melissa remind us, and as characters like Stef discover, our stories are so much richer than that. From the author’s website: Hi there. I’m Jennifer. I live with my family in California’s Central Valley, and I write stories. I used to work as a newspaper reporter, writing stories about real people, whose lives told us something about our world and maybe about ourselves. Now, I write books for young readers—books with make-believe characters whose stories, I hope, are just as full of life and truth as the real ones. Check out my picture book, Finding the Music, published by Lee & Low Books, and look out for my debut middle-grade novel, Stef Soto, Taco Queen, coming January 2017 from Little, Brown Books for Young Readers.